While this revolution is gaining wide acceptance, Ethereum Premium, that acts as a medium for peer-to-peer exchanges among companies and their employees has arrived. "Blockchain could have a major potential on both sides of the employment relationship, from the ability for people to maintain – and control access to – a comprehensive, trustworthy blockchain-based record of their education, skills, training and workplace performance. By providing potential employers with access to this “value passport”, individuals would be able to turn their skills, training and experience into genuine value in the employment market. By applying analytics to the data, companies would be able to match individuals to roles much more accurately and effectively. Which brings us to Peer 2 Peer Global network, who specializes in helping those who come across unexpected financial lose when they become unemployed. By using the latest Blockchain technology combined and trigger executed smart-contracts, P2P has become the first blockchain based platform to use crowdsourcing to validate and award funding to address the financial strain of unemployment. We do so in a simple, trusting and secure way." What exactly is Ethereum Premium? As depicted above and as indicated on the official website of Ethereum Premium, Ethereum Premium defines a novel ecosystem of value by combining the strengths of the blockchain technology and artificial intelligence. Below the team provides some of the main features they support. They are currently working on the details of the platform, use-cases, and scientific and technical infrastructure. 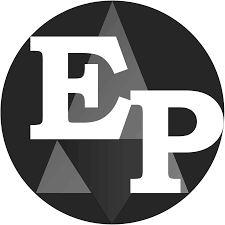 Furthermore, Ethereum Premium is an ERC20 token built on the ethereum blockchain, Ethereum premium is a token that is willing to be use as money transfer among employees and employers in a easiest way without third party. It is secured and faster as well. It is now possible to manage of salaries, and do some other inter companies transactions with out third-parties. The world is now going crypto's but seems large amount of companies still facing transactions delay, working getting annoyed before receiving his salary meanwhile banks is the main problem, these are some of problems Etherum premium have come to sort out for us. Etherum Premium transactions fee is also low and convenient for anyone to make use of either as a payment or for a long time investment. Ethereum Premium provides a platform to store and transfer value for enterprises. We in particular target small and medium enterprises, to allow them to manage and transfer parts of their funds easily and conveniently, without involving any third parties including banks. For many businesses, it is almost impossible to create a bank to store its own value. The value stored and transferred as Ethereum Premium will continue to exist in the same system fully controlled by the value owner, allowing to utilize the available funds similar to a bank. Payments of any kind including salaries made via Ethereum Premium will pour into the same value pool. This is a joint pool shared by employees and employers, naturally bounding their interests together. The value in the pool can be invested or utilized for projects. A core part of our technology is artificial intelligence. Learning value creation, transfer, and spending patterns will benefit both employers and employees. Investments and operations will be run by smart agents that understand the needs and requirements of the business. All these services are secured and with the lowest possible fees by building on the Ethereum blockchain. This unique technology combined with artificial intelligence and machine learning expertise we have opens a new future for value storage and transfer. As the value will exist in a common ecosystem shared by many businesses and employees, the intra- and inter- company transfers will be effortless and natural with lowest fees. This allows continuous and frequent transfers, thus fast and efficient circulation of value.